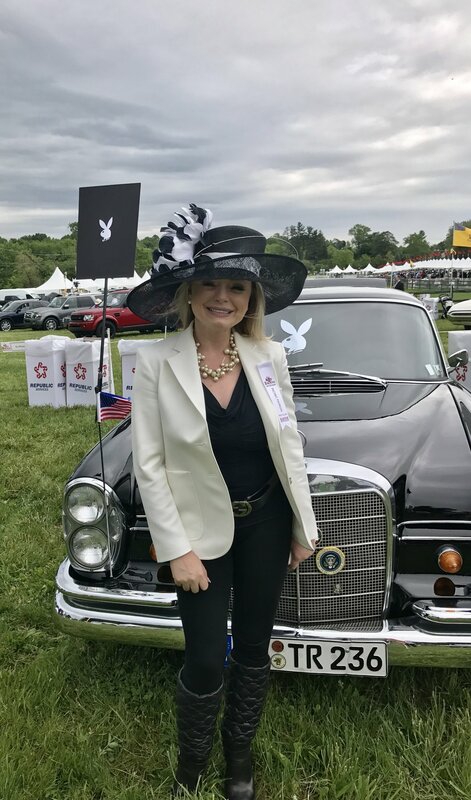 Radnor Hunt Race fans and fashionistas turned out in derby finery this past Saturday and I was honored to judge it all as one of the hat contest judges checking out the sea of festive millenery. Proceeds for the Radnor Hunt Races benefit the open space and clean water programs of the Brandywine Conservancy. The Conservancy has protected over 62,000 acres to date. I was honored to be part of a long-standing tradition in our area and to support the Conservancy. Community events like these are what makes our area so special. In conjunction with local milliner, Ella Grace of Ella Grace Hats, Nicol Floral Design offers hat rentals with a wide collection of hats from around the globe. A special shout out to my fellow hat judges: Caroline Mangan O’Halloran from Savvy Main Line, Janet Sidewater, Milliner and owner of Feather In Your Cap, former meteorologist John Bolaris, Caryn Kunkle of ArtJawn, and Miss Pennsylvania Carolina West.